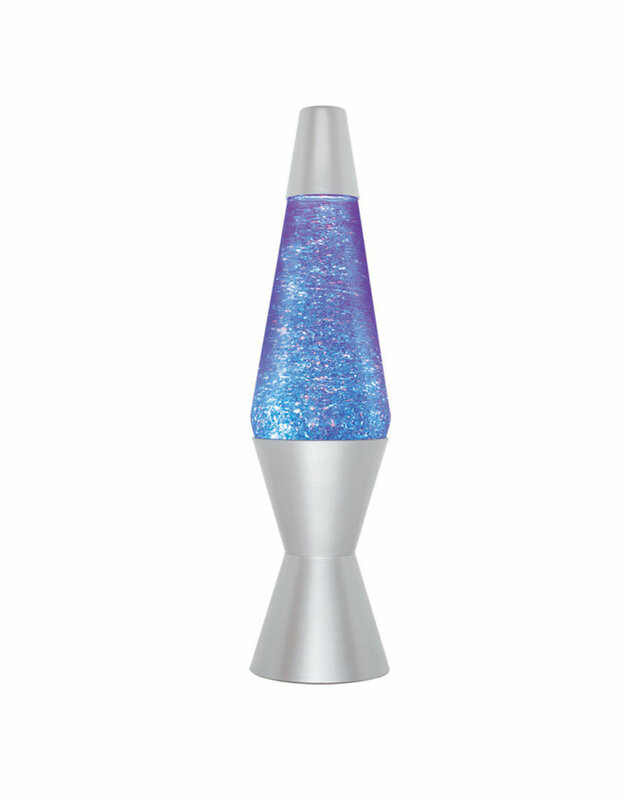 The glittery splendor of this LED LAVA table lamp changes colors and features a soft water sound for total relaxation. This is not your grandmother's LAVA lamp! The Color-Phasing Vortex model features clear liquid, plentiful glitter, and motorized glitter movement. An LED at the bottom changes color from red to blue to green which creates a sparkling, crystal effect. A soft, gentle aquarium sound lulls you into a state of mesmerized relaxation (some things about LAVA brand lamps never change! ).